Another work of art in this ancient and magnificent city Barcelona. 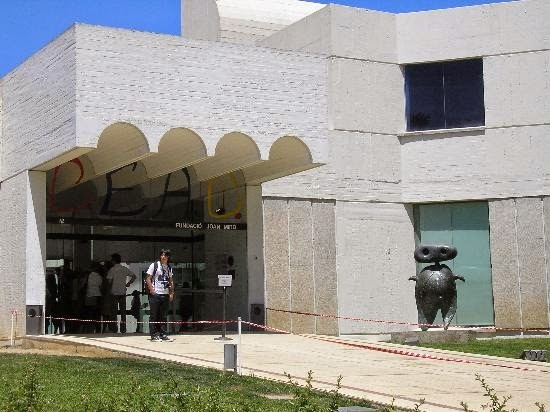 If you say that you are a true art lover then you really should see Parc de Joan Miro. 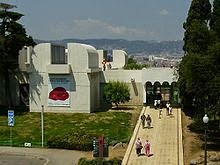 The museum which is located in Montjuic presents many works of Catalan sculptor, artist and painter Joan Miro. The building inside and outside offers you a real piece of art. Parc de Joan Miro is the former name of the park. You can hear that people call this park Parc de Montjuic. Let's have a look at biography of Joan Miro. Who is Joan Miro? He is a Catalan painter, sculptor, ceramist and artist born in Barcelona in 1893. In his works, you can see the elements of surrealism and manifestation of Catalan pride. Joan Miro was an artist who spent his most of the time in Montparnesse in Paris and died in Palma. He was influenced by international art and reflected these elements on his works. Parc of Joan Miro is a must visit place in Barcelona city. After visiting the gallery, you can go up to terrace and see this incredible scenery of the city. Apart from this, you can have something to eat at the restaurant and watch many great dance shows in the garden. So if you wonder about places to visit in Barcelona then we highly recommend you follow Barcelona city guide. For more museums in Barcelona we will try to post more. Enjoy your tour in Parc de Joan Miro. Please pay attention that there is no place to hide from the sun in summer while waiting in line so you must be prepared.